Attention, fellow Muggles! Welcome back to the Wizarding World, where the creatures are magical, the pumpkin juice is plentiful, and adventure is around every corner! Fantastic Beasts and Where to Find Them is the newest film depicting the adventures of the witches and wizards in JK Rowling’s mysterious, magical world, and if you or your student fell in love with this story, they can relive the magic with this Easy Piano Folio containing five pieces from James Newton Howard’s film score. Dan Coates has done a marvelous job of simplifying these pieces (Newt Says Goodbye to Tina / Jacob’s Bakery, A Man and His Beasts, Blind Pig, End Titles Pt. 2: Fantastic Beasts and Where to Find Them, and Kowalksi Rag) into a format that is accessible for younger players, while still maintaining the integrity of the original score. These pieces have been made more “playable” without sounding childlike. Additionally, this book also serves as a souvenir book, so among the sheet music are photos from the recording session and color photos from the film. If you would like more information about this or other Harry Potter piano books, visit us at stantons.com, email us at keyboard@stantons.com, or call us at 1.800.42.MUSIC, ext 3. Stanton’s Sheet Music is here for all of your sheet music needs! For the skilled pianist looking for music appropriate for Lent and Easter, we are eager to recommend The Wonder of Glorious Love, an advanced piano solo book arranged by Melody Bober. An experienced arranger, Bober has produced this beautiful collection that has a very classical feel, and uses lush full chords and ornaments that add an elegant spin on the classic hymns that we already know. The collection includes hymns such as “Were You There?,” “Crown Him With Many Crowns,” and “Near the Cross,” and is an excellent resource for preludes, offertories, and other church needs this time of year. If you would like more information about this collection or other Lent and Easter recommendations, call us at 1.800.42.MUSIC, email us at keyboard@stantons.com, or visit our website: www.stantons.com. Shop Stanton’s for all your sheet music needs. This arrangement of the traditional Brazilian worship song builds slowly but intensely from a simple, sparse beginning to a fiery final verse. The choral parts are accessible but effective for choirs large and small. Improvised hand percussion can be added easily. An IPA pronunciation guide and a translation for the Spanish text are provided. Enjoy this accessible setting of the well-known Scottish folk song that features contrasts between a more lyrical, lilting section and a sturdy drone accompaniment. With flute. All the loss and longing of the traditional Irish ballad are present in this tender tribute to Bonnie Prince Charlie, the dashing darling. Including both Irish and English lyrics and a pronunciation guide, your SSA choir will shine in this sensitive setting which includes violin (or other C instrument) obbligato. Your men’s choir will show their sensitive side with this lovely Scottish folksong from the Outer Hebrides. Translating loosely as Bring me o’er, dear one, this lyrical work expresses the pain of being far from home and missing one’s love. Mostly in English, this will be an excellent selection for contest or festival! Add some diversity to your performance with this lovely traditional Chinese lullaby, sensitively set for young voices. Unison writing that moves into easy passages of vocal independence, an accessible Mandarin text, and a harmonically rich koto-style piano part all contribute to a thoroughly enjoyably multi-cultural experience for your choir. You can find more World Music options on our website – or, drop us an email for suggestions personalized to your choir! Shop Stanton’s for all your sheet music needs! Comprised of 48 pieces composed exclusively by French composers, G. Schirmer’s new French Piano Collection is the perfect addition to your piano library! As you would expect from a collection of this type, a number of the classics can be found here (think Debussy’s Golliwog’s Cake-walk, Ravel’s Pavane for a Dead Princess, and Satie’s Three Gymnopédies). What makes this collection different, however, is that not only does it have the excerpts from these works that we love, it also contains these works in their entirety. For example, all of Debussy’s Children’s Corner, Pour le piano, and Suite bergamasque, Couperin’s Suite in C minor, and Ravel’s Sonatine are here in one place. Because of the variety of its contents, both in difficulty and in date/style of composition, this book will be a lasting resource to its owner. For a reasonable price, the student will be able to utilize pieces from this collection that meet their constantly evolving skill sets. For more information about this and other piano collections, explore our website at www.stantons.com, email us at keyboard@stantons.com, or call us at 1.800.42.MUSIC ext.3. Stanton’s can help with all of your sheet music needs! Nashville artist Mat Kearney‘s song of introspection and searching offers many rewards for young singers. This acoustic setting provides a wonderful opportunity for your men’s choir to develop expression and connect with their audience. Find more creative options for men’s choirs on our website, or contact us for personalized sheet music recommendations for your ensemble! For so many of us, classic children’s nursery rhymes and songs were a part of our upbringing, both at home and in the elementary music classroom. Toddlers and young children love to sing and dance to classic nursery rhymes and songs, and this activity not only strengthens bonds with family and encourages brain development and musicality, but is also (perhaps most importantly) fun! This beautiful keepsake collection of over 100 classic nursery rhymes, playground songs, activity tunes, and memory rhymes ensures that all those bases are covered for parents, teachers, and their kids. Carefully arranged for piano to play and sing with toddlers and young children, each song also includes guitar and ukulele chords for easy strum-and-sing performance. The book features a “Genre Index” that breaks the titles down into song types and categories – especially useful for educators. Finally, an “About the Songs” section rounds out the collection with a brief history of all the tunes, and, to demonstrate what the songs should sound like, professional MP3 recordings of every song can be downloaded from alfred.com with your purchase. Additionally, this book would make a beautiful gift for a baby shower, or for a friend with young children. 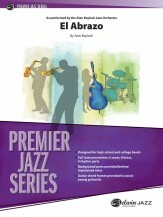 If you would like more information about this book or other products visit our website at www.stantons.com, call us at 1.800.42.MUSIC ext. 3, or email us at keyboard@stantons.com. Stanton’s can assist you with all of your sheet music needs! This spring, feature your elementary choir with some of these fun octavos, perfect for young singers in grades 3-6! “Ask me to sing, and I’ll give you a part of my soul. Ask me to sing, and I feel happy and hopeful and whole.” Powerful as an opener, closer, or for a combined choir concert, this inspirational contemporary musical-theater-style choral opens simply and builds to an exquisite finish. “Show the world what you can do / Prove to them you’ve got the moves / I don’t know about you / I feel better when I’m dancing!” From “The Peanuts Movie,” this peppy tune by Meghan Trainor positively defies you to keep still! A true charmer! The original text cleverly hovers along the pitches of the major scale, and a slower middle section (in the parallel minor) provides a perfect opportunity to discover and discuss tempo and tonality. Chicken scratchin’ fun abounds in Gilpin’s arrangement of the 19th century dance reels Hello Susan Brown and Four in the Middle. Even though this is a novelty piece, it is full of teaching opportunity, rehearsal fun and is sure to be a performance gem. Opening with a melancholy rubato introduction, this traditional Brazilian song then moves into a lively dance style that will invigorate your concert with rhythm and fun! In Portuguese, with pronunciation guide and translation, instructions for adding the dance and percussion. Lightfoot’s whimsical and energetic original is a creative programming delight! Throughout the piece, both piano and voices emulate the gentle and playful rhythms of falling rain, and the ending unfolds with a fun, syncopated tap, tap, tapping of the rain upon the window pane. Limited ranges and lots of dynamic interest make this a great choice for developing choirs. A Learning Resource Page is included. Commissioned for the 2016 Oklahoma All-State Children’s Chorus, this Woody Guthrie children’s song unfolds into a sonic celebration of rhythm and melody! Repeated phrases, nonsense syllables, rattles, temple blocks, tambourine, rhythm bones and foot stomping will produce a fantastic concert closer! The reflective poetry by Sara Teasdale forms the lyric framework for this lovely 2-Part setting. Ideal for encouraging a light head voice tone, phrasing and dynamic contrast in young choirs. Find more options for young singers on our website, or contact us for more information. Shop Stanton’s for all your sheet music needs! If you’re planning a concert of popular music with your choir this spring, we’ve got some great recommendations for you! Lighter repertoire is a fun option for end-of-year concerts, but don’t forget to find some good musical challenges for your students as well – you want to showcase all the progress they’ve made throughout the school year! From the Americana-infused score of “Bright Star,” Broadway musical by Steve Martin and Edie Brickell, this cheerful bluegrass number will be a light-hearted celebration of harmony and joy, filled with warm vocals and toe-tapping rhythms. One of the most-played songs of all-time on radio and television! Introduce singers to the whispery harmonies of 1960s California pop. Accessible choral writing that is expressive and musically satisfying! The American pop duo Hall & Oates has had tremendous success over the years and their songs remain popular through the present. This 1981 pop hit has an infectious hook that will energize your pop/show program! Now available in an accessible Discovery edition, this multi-award winning song by Carly Simon featured in the 1988 film “Working Girl” will be a fantastic and uplifting addition to any concert. This medley is a wonderful way to teach American classic rock ‘n’ roll songs, add some edge and theme to your concert, and entertain your audiences – who just might sing along! Easy to learn and perform, the medley includes I Love Rock ‘n’ Roll, Rock Around the Clock, and Old Time Rock and Roll. The 2016 live action remake of “The Jungle Book” is was described as “stunning” and “beautiful,” with a fabulous score and fun covers of the classic Sherman & Sherman songs from the original. A great 6-minute mini-medley for younger choirs, it includes The Bare Necessities, I Wan’na Be Like You (The Monkey Song), Trust In Me (The Python’s Song). This classic song from Disney’s 2016 live action and CGI remake of “Pete’s Dragon” offers a sweet and nostalgic message that will resonate with choirs of all ages, especially for graduation and other tributes. A perfect selection for concert, pop and show choirs! This ballad from the 1980 musical film “Fame” remains a powerful statement for young artists to follow their dreams and pursue their passion! This setting is an ideal closer for pop, show and concert choirs. Nashville artist Matt Kearney’s song of introspection and searching offers many rewards for young singers. This acoustic setting provides a wonderful opportunity for your men’s choir to develop expression and connect with their audience. For more suggestions, click here to view our complete School Choral promotion for Spring 2017, or contact us. Shop Stanton’s for all your sheet music needs! Choral composer and arranger John Ness Beck was born on November 11, 1930 in Warren, Ohio. After graduating from Warren High School in 1948, he enrolled at The Ohio State University. In 1952 he graduated from Ohio State with Bachelor of Arts and Bachelor of Science degrees with a major in English. After working for a year in Student Union activities at the State College of Washington, he spent two years in the U.S. Army. During this time, he became increasingly involved in arranging for various musical groups. After his discharge from military service, he returned to Ohio State and completed Bachelor of Music and Master of Arts degrees in music with composition as his major. John was a faculty member of The Ohio State University School of Music for seven years, teaching harmony and theory. He left the university to become owner and manager of The University Music House, a retail sheet music store in Columbus. In this capacity, he was able to observe the business side of the music industry, gaining insight into the complexities of music publishing and merchandising. As his compositions found their way into print and popularity, he joined forces in 1972 with John Tatgenhorst in the creation of Beckenhorst Press. 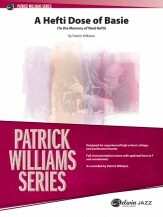 His reputation as a composer and his experience as a choral director soon led to an increasing demand for appearances as guest conductor and lecturer at various music clinics and festivals throughout the country. John has left a wonderful legacy of music to be enjoyed by all. Now available in an updated edition, the classic “Battle Cry of Freedom” is an inspiring, uplifting work for any patriotic occasion. Complete with a signature John Ness Beck ending, this piece offers optional parts for brass and percussion and makes for a thrilling concert closer. Find more patriotic options on our website, or contact us for more information! Spring recital season is just around the corner! If you are looking for the perfect gift for your young performer, don’t worry; we’ve got you covered. Designed in Japan, these micro-sized building blocks resemble tiny Legos. Each design (available for a contrabass, violin, and a grand piano) is made up of about 180 pieces, the smallest of which is only 4x4x5mm! They are “Fun to make, Fun to display, and Fun to collect,” so get yours here. These composer statuettes, made of detailed porcelain, are the perfect gift for a student who is performing their first piece by one of these prominent composers. Each bust is 5” tall, includes the composer’s dates of birth and death, and rests on a felt bottom. Get yours here. These have been popular choices by students at our recent music education conferences! Whether your student prefers a traditional tie or a bow tie, you can find fun, festive patterns that are sure to impress! Get yours here and here. For more information, call us at 1.800.42.MUSIC, email us at keyboard@stantons.com, or visit our website. Shop Stanton’s for all of your gift and sheet music needs! How do you get more boys into your choral program? First, FEATURE THE ONES YOU HAVE and MAKE THEM LOOK COOL – and sometimes, let them be silly! Throughout this powerful song from Walt Disney Pictures’ “Mulan,” your men’s choir will explore themes of adventure and courage! Even tough guys have dreams! This hilarious song from Walt Disney Pictures’ “Tangled” will give your men’s choir a chance to show off and get some laughs! Solo and choreographic options abound! This Mel Brooks tune is arranged now for TBB voices and it’s hilarious! Full of “manly” comedy, style, and masculine punch (literally! ), your men’s performance will bring the house down and be remembered for a very long time. You can find more options for your men’s choir on our website, or contact us for personalized sheet music recommendations for your ensemble! Stanton’s is pleased to welcome back Mary McDonald as our clinician for the August Church Choral Music reading session, and we invite you to join us at Overbrook Presbyterian Church (4131 N. High Street, Columbus OH 43214) on Saturday August 12, 2017. Mary McDonald is well-known in sacred music. With a career that spans over thirty-five years, her songs appear in the catalogs of every major publisher of church music. More than eight hundred anthems, seasonal musicals and keyboard collections testify to her significant contribution to sacred literature. In 2011, after serving as sacred music editor for The Lorenz Corporation in Dayton, Ohio for more than twenty years, Mary answered a new call. Now she takes her tremendous passion and love for music making directly to churches as an independent artist. She is in constant demand in churches across the nation for composer weekends and conferences. Your registration for the clinic includes a packet of over 35 new choral anthems that are hand-picked from the hundreds published each year. We look forward to seeing you on August 12th for a wonderful morning of singing with one of the nation’s most sought after church music experts. Shop Stanton’s for all your sheet music needs! Freddie Hubbard’s “Gibraltar” is a jazz standard recorded by all the greats. 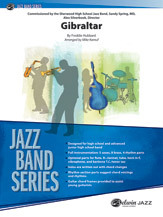 A very hip samba played at around 180 BPM, written-out solos provided for trumpet 2 and tenor sax 2, plenty of action for the drummer, and lead trumpet range to written A. There are a few snippets of Freddie Hubbard licks throughout. A smokin’ chart in every way! “Modern Pecknology” – it’s the chicken-themed funk chart! A clever title, and it’s certainly a clever chart. This Kris Berg composition opens with the sound of the barnyard and then it gets funky immediately with a very cool bass part. The tempo is around 110 BPM with the lead trumpet range to written B above the staff. A suggested written tenor solo is provided along with chord changes for trombone 1. A great groove that settles in and stays funky. Here is a truly stunning, unforgettable chart! The ballad beginning and ending will bring tears to your eyes – it’s that beautiful. The chart then moves to a samba around 110 BPM for the half note. Lead trumpet range is to written high C and there is a tenor solo with chord changes. You won’t forget this chart! As recorded on Alan Baylocks’ CD Prime Time. Originally composed by Mark Taylor four decades earlier, “Love Beams” proves its staying power with a new recording on Mark’s big band CD To the Edge. With its easy going bossa style and gently flowing melodies, we’re sure it will be around at least for another four decades! This wonderful classic ballad recorded by Stevie Wonder is set here as a feature for tenor sax. Beautifully accompanied by piano only in the beginning, a mellow accompaniment follows (with flugels and bones in buckets) as a medium bossa tempo settles in. Shorty Rogers was one of the primary creators of West Coast jazz, both as a composer and performer. “Popo” is a great example of a cool blues in a medium tempo, with solo space for any player. A classic samba played around 208 BPM. “Samba de Orphee” arranged by Kris Berg is bright, happy, upbeat, and festive throughout with the initial melody stated by alto 1 and trumpet 2 with solo chord changes for each. The groove switches to swing midway, then back to the samba feel. A great tune, and superb arrangement from top to bottom. As performed by Patrick William’s big band on his brilliant CD Home Suite Home – this chart is a marvel of taste and restraint. The tempo is slow at around 74 BPM. This outstanding ballad has a trumpet 2 solo with chord changes. Brass range is not an issue, the challenge is the slow tempo. Soon to be a classic chart in everyone’s library. Find more pieces like these in the Jazz Ensemble category on Stanton’s Listening Library, or visit our main site. Contact us for more information, and remember – shop Stanton’s for all your sheet music needs! Your mission, should you choose to accept it: develop music literacy that won’t self-destruct! Beginning with steady-beat development and progressing through improvisation to reading and writing standard notation, this comprehensive music literacy program culminates in student composition. To assist your mission, manipulatives, play-along tracks, reproducible worksheets, and assessment rubrics appear on the included CD. 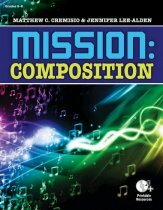 Need more composition and theory resources for your music classroom? Find them on our website, or contact us for new ideas! And remember, shop Stanton’s for all your sheet music needs! Patricia Hurlbutt’s meditative arrangement of the well-known hymn provides the perfect backdrop to a quiet moment in worship. Occasional and unexpected chromatic notes add a lively harmonic interest, and the melody gets passed through all registers, giving every ringer a chance to partake. This well-crafted arrangement is sure to leave your listeners wanting more. Celebrate the “Showers of Blessings” with this joyful piece that invokes the bygone era of the Southern gospel. This spritely arrangement will put a smile on every listener’s face, and the active bass accompaniment, which is malleted throughout, will be a favorite of any bass bell ringer. This beloved choral anthem is now scored for handbells. Sondra Tucker’s setting is faithful to the original and may be played with the choral score, or by handbells alone. Breathtaking! Encourage ringers to reflect the hymn lyrics, Loud Praise to Christ the King, as they ring this energetic arrangement of Come, Christians, Join to Sing. The many handbell techniques used will make it fun to ring, and will also make it a great piece for teaching techniques to developing ringers. Published in compatible editions for 2-3 and 3-5 octaves, it will be a great choice for festivals and other massed ringing events. This prayerful setting of two well-loved hymn tunes is a beautiful pairing of handbells and piano. The majority of the handbell part consists of quarter and half notes, while the piano provides an arpeggiated eighth note undercurrent. A perfect opportunity for beginning and intermediate handbell ensembles to shine in worship! Dan Edwards crafted this sensitive arrangement of “Softly and Tenderly” just for the three-octave choir. Both the treble and lower battery bells will shine through on their turn with the melody. You’ll want to keep this piece close whenever you accompany a meditation or other quiet moments in your services.